Young Money has conquered music and now they are looking to conquer film. Nicki Minaj and Drake went way back in time in the upcoming 3D animated film Ice Age: Continental Drift. 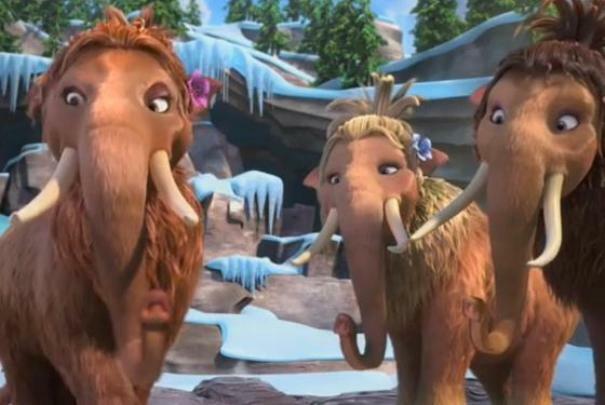 In the 4th installment in the popular franchise, Nicki Minaj lends her voice to a mammoth name Steffie, while her labelmate does the voice for Ethan. Other big name stars who lend their powerful voice includes Queen Latifa, Jennifer Lopez and Ester Dean. The highly anticipated film opens in theatres on July 13.